I remain just one thing, and one thing only – and that is a clown. It places me on a far higher plane than any politician. We can never admire enough his grasp [Charlie Chaplin] of detail, the clockwork precision which each of his films represents, and which is perhaps the essence of his genius - an element even more important than his art of the gag. That obstinate, suspicious, egocentric. 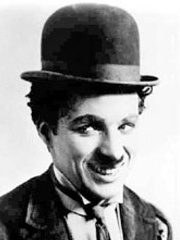 maddening and lovable genius of a problem child, Charlie Chaplin. I like making pictures, and I like acting in them, and I suppose that I shall always be a bit of film. One of the things most quickly learned in theatrical work is that people as a whole get satisfaction from seeing the rich get the worst of things. The reason for this, of course, lies in the fact that nine tenths of the people in the world are poor, and secretly resent the wealth of the other tenth.